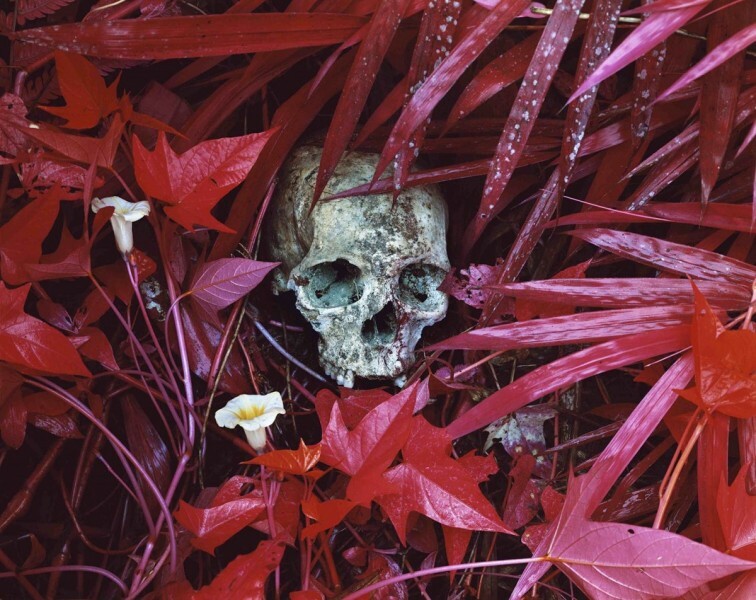 Richard Mosse, Of Lilies and Remains, 2012, C-print, 101.6 x 127cm, courtesy The Vinyl Factory and Edel Assanti, London, © the artist. 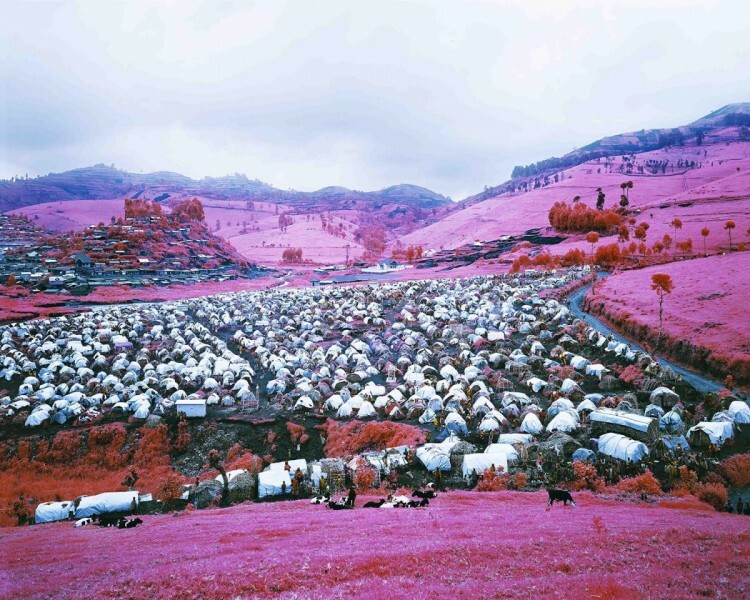 Richard Mosse, Higher Ground, 2012 C-print, 228.6 x 182.9cm, Edition of 2 +1AP, courtesy The Vinyl Factory and Edel Assanti, London, © the artist. 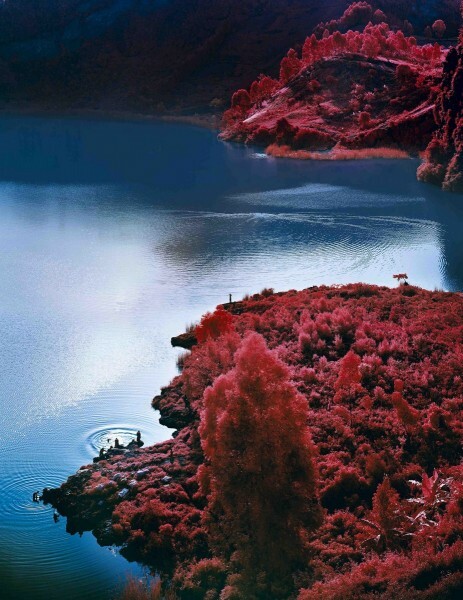 Richard Mosse, Lac Vert, 2012, C-print, 236.2 x 182.9cm, edition of 2 +1AP, courtesy The Vinyl Factory and Edel Assanti, London, © the artist. Richard Mosse, Thousands Are Sailing II, 2012, C-print, courtesy The Vinyl Factory and Edel Assanti, London, © the artist. Unless you have a particular interest in sub-Saharan Africa, it would be quite easy to be blithely unaware of the horrors playing out in the Democratic Republic of Congo. Such is the lack of mainstream news coverage of a conflict which has claimed the lives of more than five million people since 1998, and rendered wretched the existence of so many more. The insomniac among you may be more acutely informed since the BBC World Service, in its wisdom, reserves some of its most heart-wrenching reports of the brutality and violence in the DRC for the wee small hours of the morning. If you were struggling to clear your mind of unwanted thoughts beforehand, after listening to the (admirably) in-depth analysis of rebel atrocities, you will be staring at the ceiling for hours. 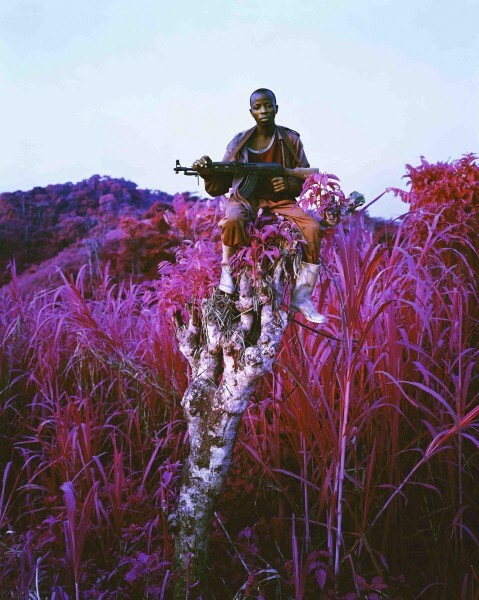 Over a period of two years Richard Mosse, with cinematographer Trevor Tweeten and composer Ben Frost, spent months embedded as journalists with rebel forces in the DRC, filming with steadicam and hand-held cameras, recording the sounds of the people, the landscape and the conflict. The resulting work, Enclave, brings the record of this experience to the heart of Soho. In the Brewer Street Car park for just three weeks we can view an expanded (eight instead of five screen) version of Mosse’s Irish Pavilion for the Venice Biennale in 2013. This is powerful and necessary viewing. As we prepare to embark on a two year period of commemoration of the First World War, the role, the ethics and the efficacy of the artist as witness to war will no doubt be much discussed. Mosse uses an obsolete film stock originally developed for the military. Designed to render vegetation in shades of hot pink the film stock was intended to expose the camouflage kit of enemy troops. As used by Mosse, the film produces landscapes of a nightmarish, florid hue in which the young rebel soldiers stand out in all their defiance and swagger, confronting the camera. An aesthetic treatment of conflict could be considered problematic, but Mosse has stated that “Beauty is the main line to make people feel something. It is the sharpest tool in the box.” This is not the first time that conflict in this region of the world has been a subject for artists: the atrocities committed by colonial forces in what was the Belgian Congo in the late 19th century formed the backdrop against which Picasso explored the African art in the Trocadero in Paris in the first few years of the 20th century. With this affecting and immersive installation in London, Mosse perhaps makes it possible for us to understand something more profoundly human about the situation in the DRC, something that escapes even the most eloquent BBC correspondent.